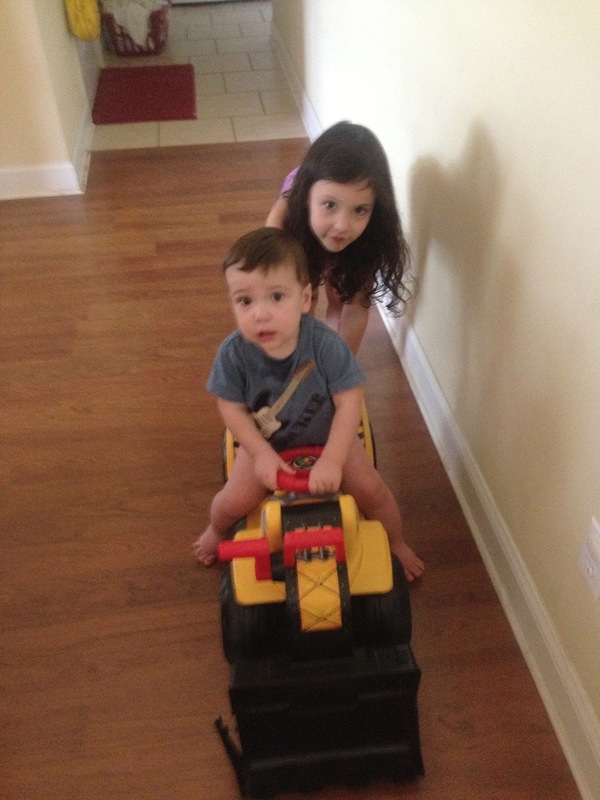 For his birthday, Aunt Laura, Uncle Gino, and Ben got Cooper this super cool ride on tractor/digger. It has quickly become the coolest toy in our house. Cooper loves to ride it. LL loves to ride it. LL loves to push/pull Cooper around. It is all around a win/win toy! He are some pictures of my sweet boy enjoying his birthday present! LL loves to take him for a ride! We put a scarf on the front to pull him around by. This is MUCH easier on our backs than bending over. Fantastic job Aunt Laura and Uncle Gino! This one is a hit for sure!